SAMSUNG announces World's first 15.6-inch UHD (ultra-high definition) OLED panel for Notebooks/Laptops. 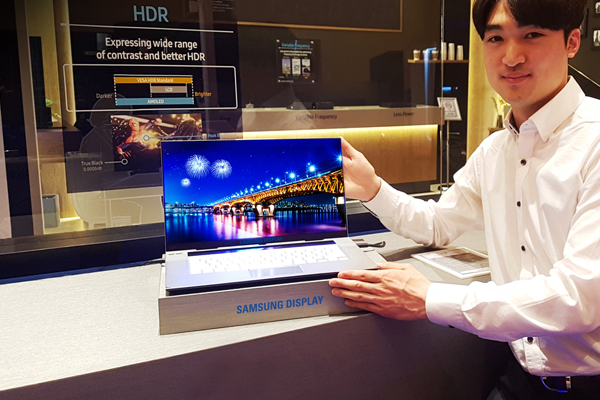 Samsung Display today announced that it has succeeded in developing a 15.6-inch UHD (3840 x 2160 pixels) OLED panel - the world's first UHD display for the notebook/laptop market. The newly released display will provide ultra-high resolution optimized for gaming, graphic design and video streaming.